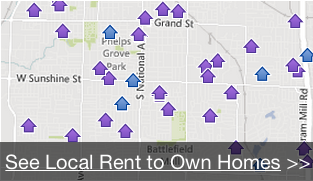 How Does A Rent To Own Home Agreement Work? We’ll send you local Utah rent to own / lease option homes that fit your criteria or tell us what city you would like listings in. If you like a home and want to apply, we’ll give you an application to fill out. Don’t worry – we help people with all kinds of credit and financial situations, and if you can afford the property, we can probably help you to own it. After you’re approved to rent the property, we’ll agree on a monthly rent amount and the future purchase terms. Then just sign the documents and move on in! Move in and pay your rent payments on-time… then at the end of the rental agreement you can decide if you want to purchase the home at the predetermined price or not. THERE IS NO OBLIGATION to purchase the home after the rental agreement expires. Depending on the program you choose, if you decide to buy we’ll credit you a portion of your rent paid to help reduce your purchase price. How Long Are Rent To Own / Lease Option Terms? Your lease/option agreement (also known as the rent to own contract) will spell out the length of time that you have to complete the purchase of the property – typically 3-5 years, but in certain circumstances we may extend your option if you need more time to get your credit or down-payment up to the point where you can qualify for a bank loan. 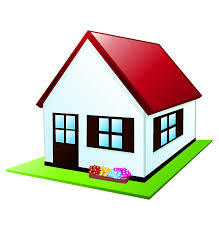 First step – sign up to find great properties around Utah just by filling out the form on the upper right of this page.